There are many awesome thank you gifts available at different donation levels ranging from the always stylish KRCB-FM Radio 91 logo t-shirt at the $40 level; the unreleased Kate Wolf Live in Mendocino CD (coming in June 2018) at the $40 level - as well as many other 'top-shelf' CDs at the $40 level; the always popular Eton Emergency Radio at the $80 level; to the new KRCB-FM Radio 91 hoodies - both pullover and zip-up - available at the $120 level. You can see the main thank-you gifts here; and be sure to listen during the 8 days of fundraising - now through March 24 - for additional thank you gifts and other cool bonuses. We have a modest goal of $15,000 - and with your help, we can meet this goal. The funds will help maintain the radio facilities and defray some of the costs of your favorite KRCB-FM Radio 91 programs. Make sure you tune in so that you don't miss any of the fun-draising festivities all this week - now through March 24 on KRCB-FM Radio 91! 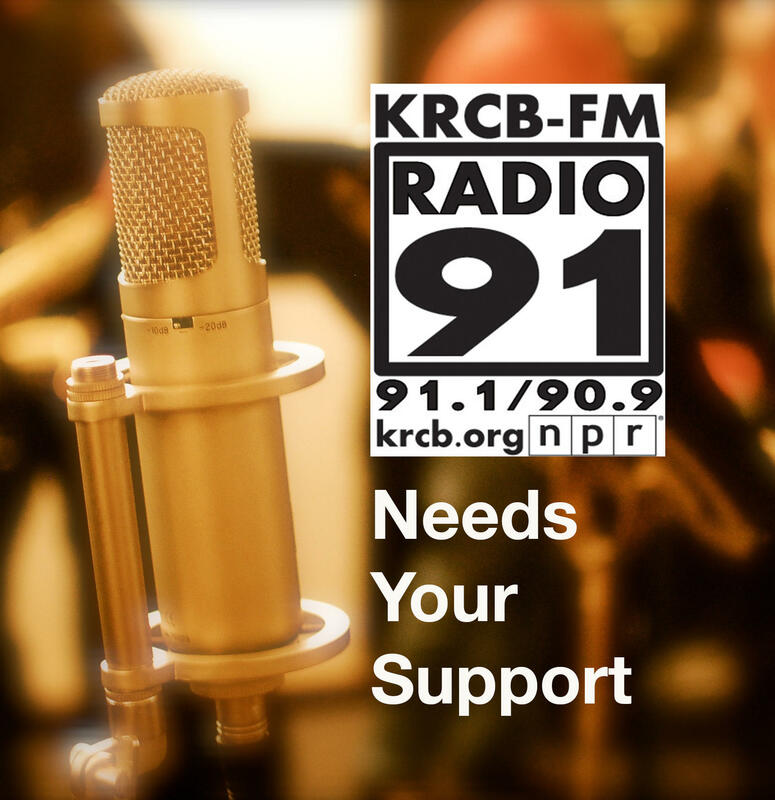 (You can hear us in Sonoma County on 91.1 FM & 90.9 FM in Santa Rosa; streaming 24/7 at krcb.org; on Comcast Cable channel 961 all over the Bay Area; and with the FREE KRCB APP available at iTunes and Google Play - just type in KRCB).